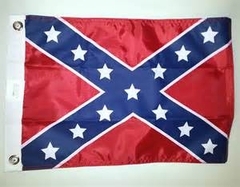 2x3 Confederate Flag. Same beautiful color as our 3x5, only a bit smaller. This size is very popular for boat flags.